Like many armed forces, the U.S. Air Force is coming around to the huge potential that 3D printing may hold for its serving troops. Believing the technology could one day be instrumental to operations, the Air force is channeling its resources into research and development of 3D printing applications, with the aim of making it battle ready. 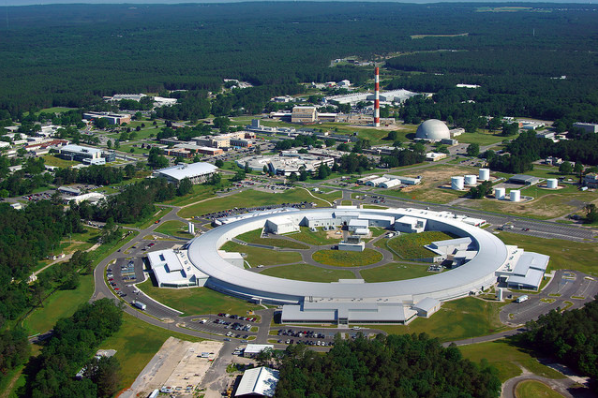 As part of a recent investigation, scientists from the U.S. Air Force Research Laboratory (AFRL) Materials and Manufacturing Directorate used the National Light Synchrotron II at Brookhaven National Laboratory. 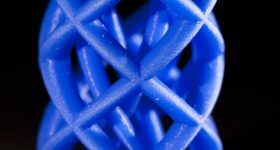 The facility was used to understand the effect nano-fillers have on structural bonding between layers of 3D printed material, with the aim of understanding if the materials would make 3D printing more suitable for USAF applications in the field. Inside the Synchrotron. Photo via U.S. Air Force/Hilmar Koerner. 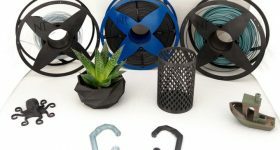 When 3D printed material hits the print bed or previously printed layer, its physical properties are different to when the filament is inside the extruder. 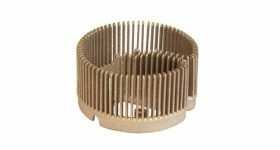 This change in the material’s rheology (fluid characteristics) has an effect on the bonding between these 3D printed layers and the extent to which they maintain their shape. 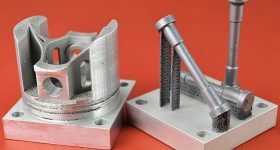 The porosity of a material and poor bonding between layers may weaken the overall structure of an additively manufactured component. This makes it unsuitable for the replacement parts that USAF wish to eventually fabricate in the field. To address this problem, materials engineers can add nano-fillers, which are inorganic nano-fibres to alter a material’s properties in certain sizes and states. 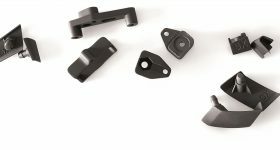 With a precise amount of nano-filler, added to a reinforcement such as carbon fiber, the bonding between layers above and below may be improved. 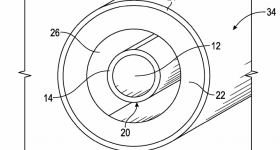 This, by extension, improves the mechanical properties of a printed part. 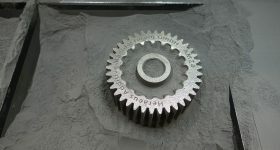 A 3D printed component with layers visible. Photo via U.S. Air Force/Harry Pierson. 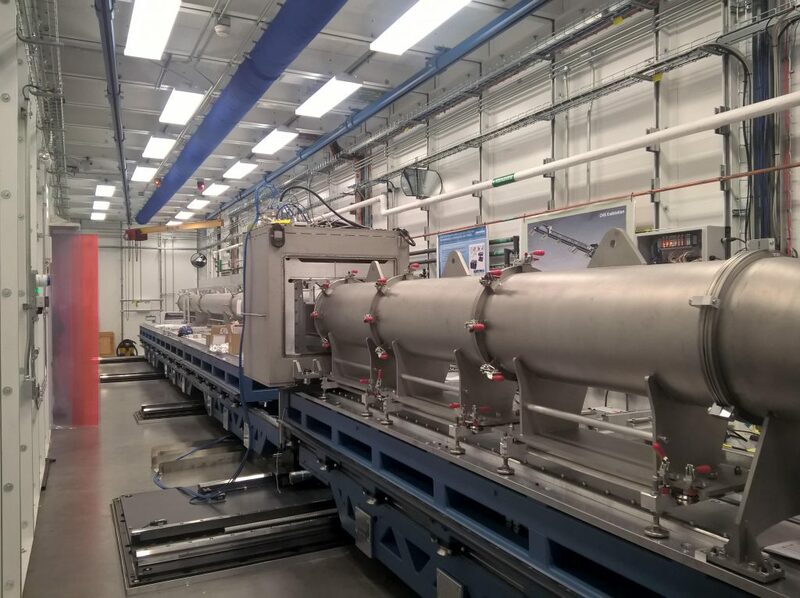 To understand what type (nano-rod, nano-platelet, nano-particle) and combination of nano-fillers together with composites can produce ideal material properties and dynamics, scientists at the AFRL successfully applied to use the US National Synchrotron II. The synchrotron, located at Brookhaven National Laboratory in New York, uses extremely bright X-rays for analytical research purposes. Dr. Hilmar Koerner from AFRL’s Polymer Matrix Composite Materials and Processing team explained that the team were “awarded beam time at the XPCS [X-ray Photon Correlation Spectroscopy] beam-line”, allowing them to “simultaneously look at the dynamics and structure of materials during processing with millisecond time resolution”. Koerner explained that the team “conducted our experiments and gathered data that will allow us to better characterize these materials and shed some light into the 3D printing process of Air Force-relevant thermosetting resins and their post processing”. By monitoring the process using the synchrotron X-rays at an extremely precise resolution, the team deduced that during extrusion, composite material turned from shear-thinned, easily flowable liquid into a gel within just a few seconds. As the nanofiller particles randomize their orientation, they form a network that gives the composite ink self-supporting properties (like non-newtonian solids), and improved bonding properties. 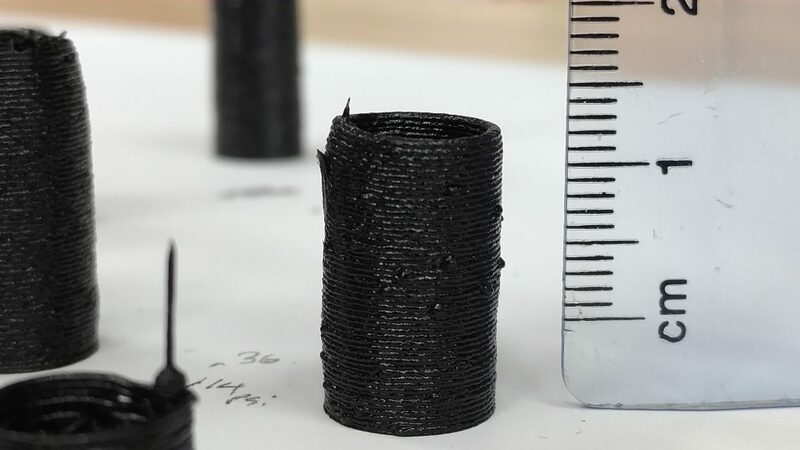 The team will now use these results to optimize composite ink formulations and printer parameters, and to create closed-loop feedback controls for 3D printers. Other additive manufacturing research at the Air Force Research Laboratory includes 3D printed solar cells and electronic skins, developed in collaboration with Harvard University. 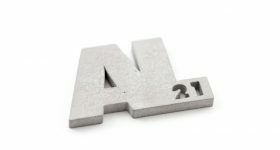 Across the Atlantic, Rolls Royce has used the UK National Synchrotron, Diamond Light Source, to investigate the properties of 3D metal printing. An aerial photo of the synchrotron. Photo via Brookhaven National Laboratory. 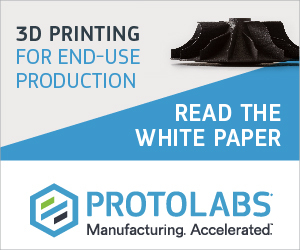 For more 3D printing materials science, subscribe to our free 3D Printing Industry newsletter, follow us on Twitter, and like us on Facebook. Featured image shows an engineer inspecting the illuminated magnetic kickers of the synchrotron. Photo via Brookhaven National Laboratory. 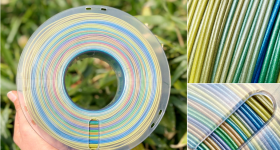 More on this topicCan 3D printed nanocellulose transform the food industry?